The best value for dance and fun all summer long! 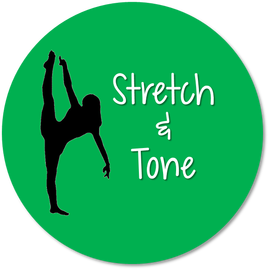 Wiggle & Giggle, Zumba Fitness, Stretch & Tone, Summer Acro and Summer Technique. Ages 3-6 $175/week - No dance experience required! Your petite dancer will love dancing through the pink sky to Pom Pom Unicorn's Magical Carnival on a Cloud! Tiny dancers will climb the sparkly rainbow and soar through the Cotton Candy Clouds as magical unicorns in this sweet ballet and tap dance camp! This magical camp is full of all things unicorn, dancing, carnival games, glittery crafts and even Rainbow Rewards (aka fun prizes)! It is sure to be a magical time! *5 dancer minimum. Registration required. Ages 3-5 $175/week - No dance experience required! It’s going to be a magical week at Dance Fusion! Tiny dancers will be treated like princess royalty as they experience different styles of dance and explore a new Fairytale theme each day! Crafts, fun and games too! Ages 6-10 $175/week - No dance experience required! Allons-y, mes amies! Let’s go, friends! Tiny dancers will say bonjour to an amazing adventure that’s double the fun with their favorite dollie in this fun dance camp! Together, they’ll tour all the magical sites of Paris and make fun memories along the way: painting and tapping at the Eiffel Tower, twirling with pastries and tea in the gardens, and doing the can-can with their new friend Fifi the poodle! Ages 6-11 $175/week - No dance experience required! Mary Poppins, and Charlie and the Chocolate Factory, while learning musical theater, jazz, and hip hop! Dancers will also shine on the big screen when they star in their very own mini-movie featuring their magical dance moves! ​Summer 2019 Classes Coming Soon! A music class filled with exciting songs, activities, movement & dance for young music lovers, accompanied by their adult! Your child will expand their imagination as they Wiggle & Giggle their way through our educational program! *Punch cards can be used towards any weekly summer class at Dance Fusion. Summer 2019 Classes Coming Soon! This class will help you achieve your dancing goals! This class will keep you dancing all summer long! This class will focus on improving flexibility and strength building for dancers! This class will help you achieve your tumbling goals! This class will keep you tumbling all summer long! Check out all of our Zumba Classes at Dance Fusion!